The pleco is a Goldspot (so i was told) and no idea what the cory is, but they are both sweet and the wife has named them Goldie (pleco) and catty (corydora). 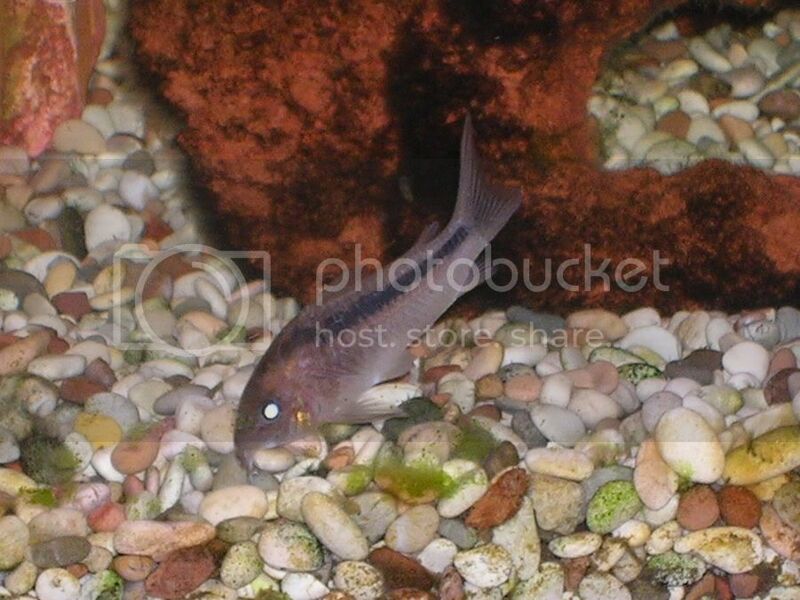 If any one can tell me what type of cory i have i would be grateful. Looks a little like a skunk cory. Called that by the dark stripe down its back. yours is a C. arcuatus but the one in the big pic uh, no. I have put the two pics together and as you will see the stripe does not go down through the eye as with the skunk. I have had another good look and now I am sure it is C. rabauti and not the C. narcissus, but even then I couldn't say for sure, for the difference between these two and the one in the big pic is very slight. (referring to the pics not the fish in real life) I think you will agree that it is not a C. arcuatus. 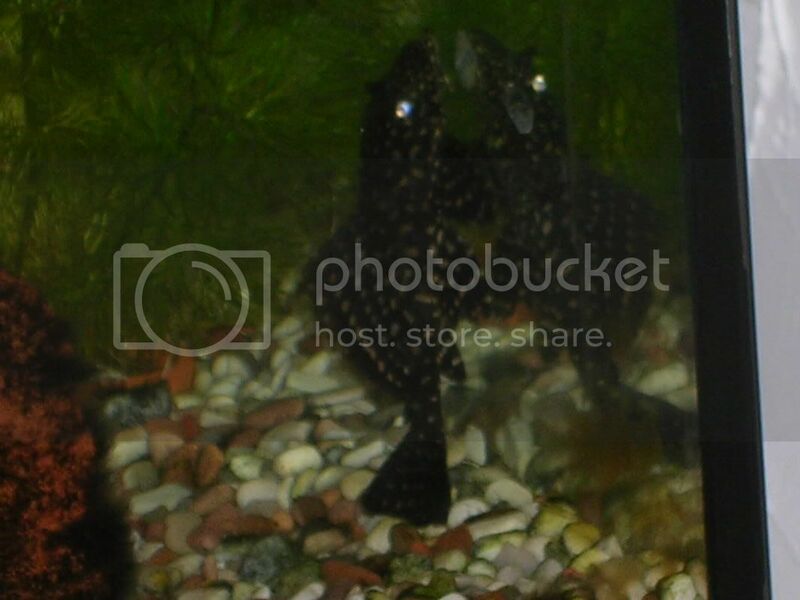 I think you are right Mick i found a pic of a C.Rabauti and its identical to my fish. Heres a pic i found of a C.Rabauti. The zygatus starts with a stripe but it spreads to cover the back leaving the crown showing as pink/brown, where as the rabauti's stripe stays a stripe right to the caudal peduncle it also appears to be more intense. Yes - your plec looks like a golden nugget plec - these are very desirable fish to own, as the bright yellow is quite unusual!